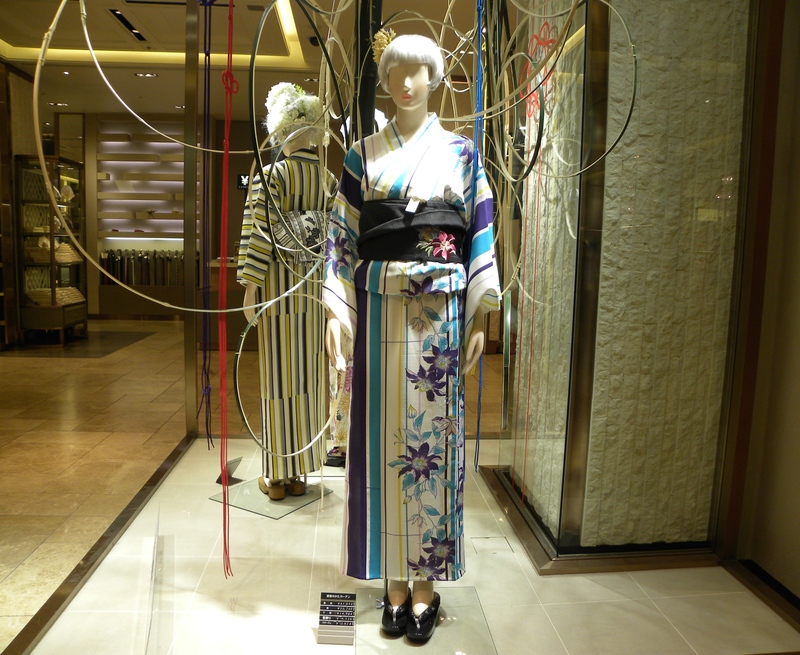 This entry was posted in Culture, Fashion and tagged Culture, Fashion, Luxury, Mitsukoshi Department Store, Shopping, Tokyo, Travel by linneabylinneanilsson. Bookmark the permalink. How modern the prints look, fabulous! Love the bold summer prints. They look so elegant, but must have been very warm in the summer heat. Love the colours and patterns of the material. They go so well with the style, I presume that was in mind when they were designed. Not so warm as this is the summer version. No layers and often cotton material or at least less heavy silk. 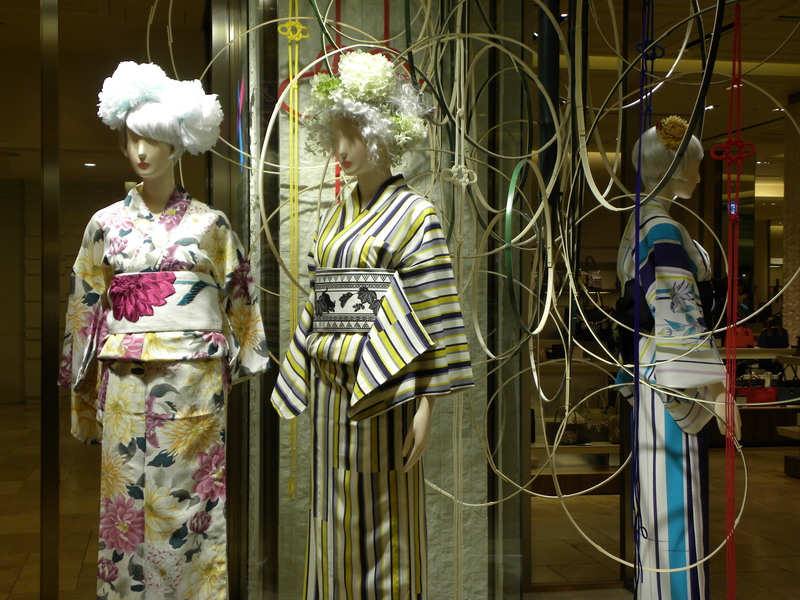 They are actually quite comfortable and definitely solve your wardrobe challenges when it´s matsuri (festival or holiday) time.